Pythagoras said the world was made of numbers; Democritus insisted upon atoms; Empedocles, four primordial elements — fire, air, water, earth. But Plato loved triangles. In his schema, matter was made up of triangles in kaleidoscopic configurations, triangles themselves divisible into tinier triangles. Triangles begat triangles. They were the essential unit. Literature, I’d hazard, would agree. The triangle has been the essential scaffolding for the novel; from its wobbliness emerges such productive instability. Take away the triangle, and Adam and Eve would still be simple-mindedly tending to their garden; Oedipus would leave mom alone; Vronsky wouldn’t stand a chance; and Freud would be out of a job. And literature would be bereft without the love triangle in all its variations — one party dead (“Rebecca”), oblivious (“Othello”), mad (“Jane Eyre”) or a pile of old letters (“The Aspern Papers”). Despite this abundance of triangles, some still have the power to surprise. 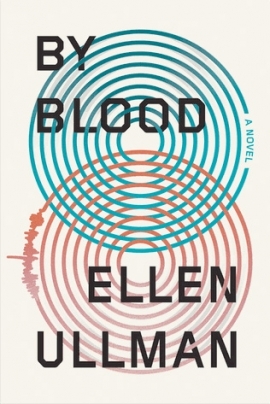 Such is the case with Ellen Ullman’s smart, slippery “By Blood,” which features a triangle so odd and improbable, it’s almost a riddle. Explain how a man can become fixated on two women without (a) seeing them, or (b) being seen by them.